Here at Grammar Chic, we may not be quite as defensive of television as Homer is, but in case it isn’t already obvious, we enjoy it plenty—and for that matter, love all manner of pop culture. Just last evening, our fearless leader/CEO hosted a Walking Dead season premiere party at her home; one of our senior writers, meanwhile, was previously employed as a film and music critic. Not only do we like pop culture, but we also see a lot of content marketing lessons to be learned from it. Perhaps that’s just because content marketing is what we do, all day every day—but whatever the reason, we’ve found a great many content marketing values to be gleaned from TV, movies, and music over the years. 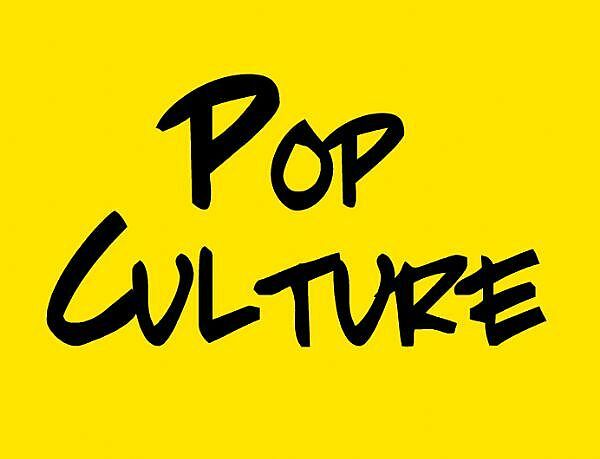 In case you missed any of them—or just want a refresher course—we’ve rounded up a few favorite pop culture-related entries below. If you didn’t watch The Walking Dead last night, it may be because you were too busy catching the most recent episode of The Good Wife, a tremendous TV show that does a superb job of bringing cable TV complexity to the more formulaic world of network programming. In fact, the show has much to teach content marketers about how they can surprise and entertain their readers while still conforming to convention. Another Grammar Chic favorite—Mad Men—is a show all about advertising—so it goes without saying that we found some content marketing illustrations on the show. In particular, our Mad Men blog entry suggests three lessons learned on the show: That it’s important to tug at people’s emotions, just like Don Draper does in his classic ad pitches; that content marketing can be used to turn a product’s perceived weaknesses into strengths; and that, if you don’t like what people are saying about your brand, you need to change the conversation. We once did an older blog post all about HBO programming—covering everything from Girls and Game of Thrones to Veep and True Detective. In the post, we comment on the need to be controversial, and the value in embracing exclusivity. We concluded the post with this: “A final point, and perhaps an obvious one: HBO’s shows get a lot of attention because, according to most standards, they’re all pretty good. HBO is exacting in its quality control, and while you may not personally like all of their programs, it is hard to argue with the fact that Veep and True Detective and Boardwalk Empire are at the very least professionally written and well-acted, that they are both original and compelling. We’re not just concerned with content marketing and its resonance on television. We like music, too, and have gleaned some cool lessons from some of the world’s biggest rock and roll acts. From Prince, we learned how important it is to be provocative and prolific; to be inclusive but also unclassifiable. For a guy who’s had a spotty relationship to the Internet, he sure does have a lot to teach us about online branding! On the flipside, we recently blogged about U2’s surprise album release and controversial Apple partnership—and how it might be an example, for content marketers, of how not to approach content distribution. Finally, we’d be remiss in not mentioning our first-ever pop culture-themed blog entry—and still one of the most popular entries in our company blog history—our The Walking Dead post. The one that started it all. And really, it’s tough to summarize or condense this post: Whether you’re a fan of the show or simply a content marketing zealot, though, we urge you to check it out. We’d love to talk to you more about any of these topics—pop culture or content marketing. (Ideally the latter, actually.) Contact Grammar Chic today at http://www.grammarchic.net, or 803-831-7444.